We knew that Nintendo would have a thin showing at E3 this year - the company admitted as much well before the show by confirming that it would not have the NX ready to show there. Related reading: Matt's review of the excellent The Legend of Zelda: Twilight Princess remake on the Nintendo Wii U. But it had one ace up its sleeve; the company's biggest franchise was finally getting a new game, and it was promising to be Link's biggest adventure by a very long way. The Legend of Zelda: Breath of the Wild was making a big showing at the event too - fully playable, it is, by all the hands-on accounts, quite the special experience. This is a game that is promising a massive, open world, but an open world done Nintendo's way, replacing meaningless item collecting (hello, Assassin's Creed), for meaningful world building an immersion. And, as you can see from the trailers, this is also one gorgeous-looking game, and that is on the inferior Wii U hardware. Just imagine how it's going to look on the NX, which we assume is going to be a significant bump up. 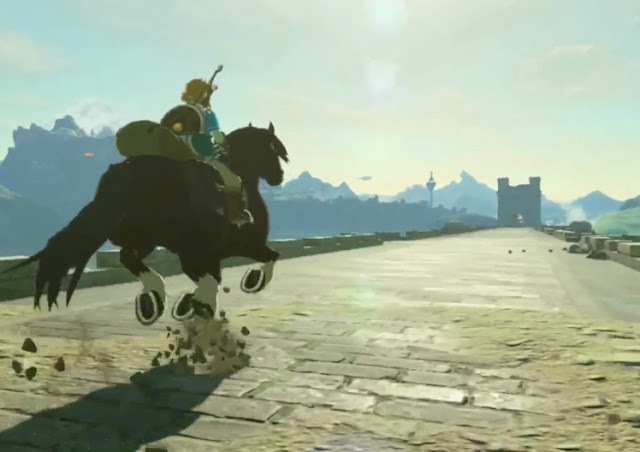 For me, the most intriguing thing about Breath of the Wild is that it is clearly trying to be something different from that Ocarina of Time formula that has become really tired by now. The old "explore-a-dungeon-get-an-item-beat-a-boss-with-that-item-and-then-use-item-to-access-next-dungeon" trick was starting to put me right off the franchise, so if this game is able to break that particular pigeonhole that it Nintendo has stuck the Zelda series into, I will be greatly impressed. I am, however, disappointed that Nintendo has confirmed that, yes, the only Link in Breath of the Wild will be a male Link. And I know that doesn't matter to everyone, but damn it, it does matter to me, and I am critical of Nintendo's insistence that a character for whom there is no gendered behaviour be exclusively male. Nothing changes in the Zelda games if Link is a girl. Nothing. And that is a sure-fire proof that the gender can be swapped without actually impacting on the game's creative vision in any meaningful manner. No one's asking for male Link to be removed from the game, but if Mass Effect is able to give you the choice of gender for Shepherd, then Nintendo doesn't really have a reasonable excuse here. I really did think that this would be the game that Nintendo would take that step and give us the choice of Links - especially after female Link went down so well in Hyrule Warriors - but alas, that wasn't to be, and I think the game is the lesser for it. That disappointment aside, Breath of the Wild looks gorgeous, and it'll be either the perfect farewell to the Wii U or the perfect hello to the NX, depending on your personal plans with the game.